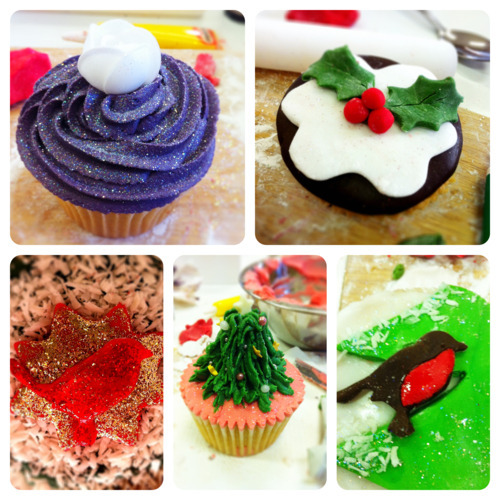 Girl about Bath » Blog Archive » Cupcake Decorating with the Bath Cupcake Co. 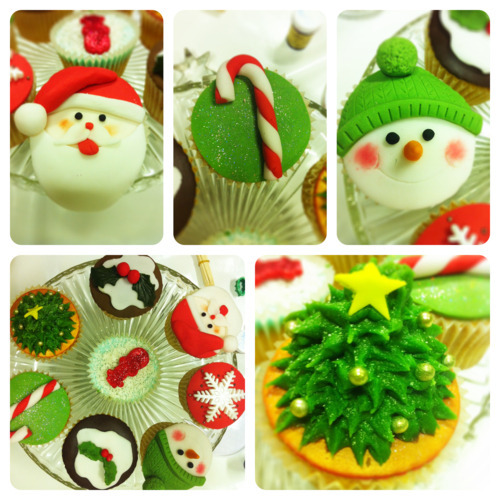 I was invited by Celia of the Bath Cupcake Company to come to one of her popular cupcake decorating courses last weekend – a special Christmas themed session. On location at Bailbrook House (I have to say in the ‘nice’ bit as opposed to the ghastly more modern extension! ), about 16 of us were presented with 6 cupcakes and a plethora of sprinkles, glitter and icing to play with for the afternoon! Celia demonstrated a range of icing styles and techniques before giving us time to try them out for ourselves, with plenty of decoration inspiration also provided. The highlight for me was being taught how to use a piping bag for butter icing properly, as this has always thwarted me in the past – although my piped Christmas ‘tree’ was not quite as perfect as the demonstration cake! I’d recommend one of these 3 hour courses to anyone who wants to become more confident with icing, to get ideas and inspiration for decorative techniques, or who just wants to spend a relaxing afternoon with edible glitter and sparkles! My tip would be to look out for the company’s next voucher offer with one of the many sites around and jump at it!